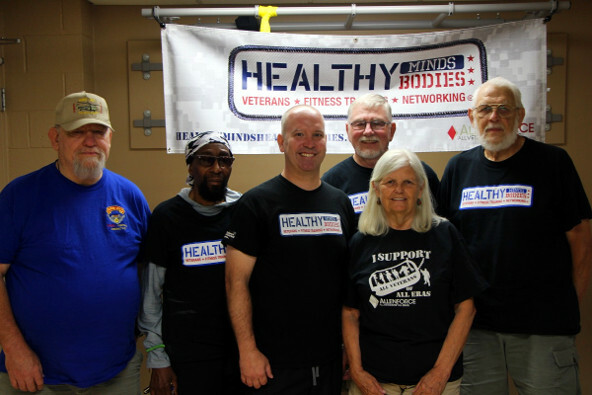 Healthy Minds Healthy Bodies (HMHB) is a trademarked program of AllenForce implemented by licensed fitness centers throughout the country that is offered FREE of charge to qualified veterans. Each facility and fitness professional complete specific training on veteran culture, PTSD, MST, injuries and illness specific to veterans and adaptive equipment. How has Healthy Minds Healthy Bodies helped our Graduates? I finished my 15 sessions for HMHB last night. 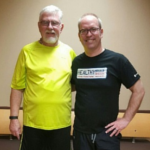 Jon is very sincere about his efforts in the proper way to train one so they receive the maximum not only in strength training, but also keeping ones core aligned so your body performs more efficiently. I lost 9 lbs and toned some muscles while adding some also. I was able to lose some inches from my waist and hips. Being 67, he adapted a workout that was suited for me, not just a generic “one-fits-all” kind of workout. If I didn’t understand a procedure, he would demonstrate how to do it. After each session he had me stretch, making known the importance of that. He is an ardent task master and kept me hustling each session. Jon has a great personality and shared that with me with his stories while I was working out. I believe Jon and HMHB are a great asset to the Des Plaines Park District in helping people to achieve their goals in fitness. I was first told about Healthy Minds Healthy Bodies by my doctor at Hines VA Hospital. At the time, the closest location to me was in Bensenville. We tried it out, but the distance and times made it impossible for me to attend. Fortunately, thanks to the support of the Des Plaines Park District we were able to participate under the excellent guidance of Jon Kahney. He was our personal trainer and went out of his way to accommodate our schedule and needs. Thanks to his support, I lost 17 pounds and am stronger and have more endurance than I have had in a very long time. Jon was not only a mentor, but has become a friend and still encourages me on my path to being healthier and in better shape. The program is open to ALL disabled veterans and I truly wish more of them would learn of this program and take advantage of what it has to offer. I am a veteran of an unpopular war, we did not receive a heroes’ welcome when we returned home. I felt as if I had done something wrong by serving my country. I had trouble dealing with society which led to severe depression associated with PTSD. I was recommended to the HMHB program by another veteran and reluctantly decided to check it out. It was one of the best decisions I have made in a long time. It let me know there are people that care about veterans in a very sincere way. Jon is tough, but he got me to where I wanted to be. I always eagerly looked forward to our workouts. I dropped 8 pounds and 5% body fat in 15 training sessions. My muscles are tighter and more importantly, I am able to sleep better. The exercise has helped me manage PTSD issues. 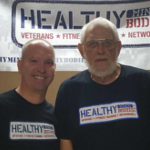 I highly recommend Healthy Minds Healthy Bodies to all qualifying vets. 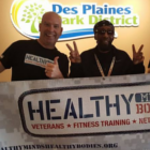 Thanks to Allen Force, Alexandra at MNASR, and Jon Kahney at Des Plaines Park District, I was able to take part in the Healthy Minds Healthy Bodies program. While looking for a place to workout, I walked into Prairie Lakes just to look around. I was introduced to Jon who showed me around and told me about Allen Force. That led me to talking to Alexandra and then joining the program. Jon became my trainer for the 15 personal training sessions. He worked with me, tailoring a workout specifically for me to fit some of my limits due to physical problems. Overall, I will absolutely inform any Vets to learn about this program and to look for Jon to be their trainer. He is easy to work with, learns your limits, and works within them. This information is courtesy of the AllenForce Healthy Minds Healthy Bodies website. 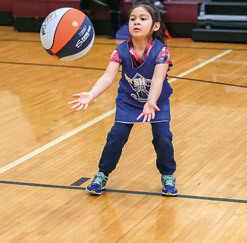 How Did The Healthy Minds Healthy Bodies Program Start? The former executive director of NEDSRA, Larry Reiner had a cousin who was a Vietnam veteran with whom he was very close. He watched as his cousin was denied benefits and not welcomed home into his community for years. Larry decided as a recreation agency with many resources available in many communities, that we could make a difference. 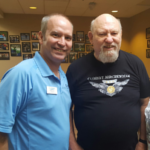 Since most of a military person’s life revolves around fitness, it was a no-brainer that we start a FREE health and fitness program to use as a bridge for the veterans to transition back into their hometown and community through fitness, something very familiar to them. We realize that for various reasons after their discharge there may be weight gain – due to medication, and/or injuries, prevent them from working out like you used to, or depression, etc. Healthy Minds Healthy Bodies wants to help start up those endorphins, create a positive energy flow within, and get back into health and fitness. How does that old quote go? “If you look good, you will feel good!” But seriously, you know the benefits of exercise, physically, emotionally, mentally and spiritually. Can My Family Or Friends Come To The Monthly Networking Events?